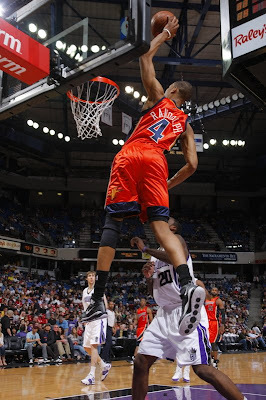 Shout out to Anthony Randolph of the Warriors who got an invite to the Team USA basketball camp. The boyo is getting recognized around the league. 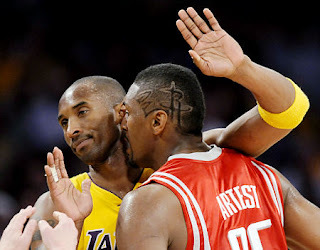 After all this hoopla with Ron Artest dissing Kobe and the Flakers, it appears as Ron aint a man of his word. According to NBA sources, Ron Artest will sign a 3-year deal with the LA Flakers. I thought Artest would have fit well with the King James and the Cavs, but it whatevs now. 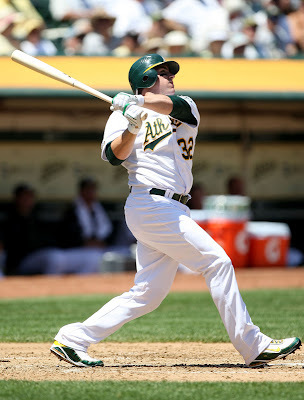 The Oakland A's finally ended their losing streak with a victory over the Texas Rangers. Bout damn time if you ask me. Jack Cust come through with a grand slam and Matt Holliday added a three run shot. If this team can remain healthy they may do some damage in the AL West divison and might sneak into the playoffs...MIGHT.